We are proud to announce that Ubisoft and Portals VR Arcade are partnering to bring you outstanding escape games in virtual reality, set in the most popular gaming worlds of Ubisoft. 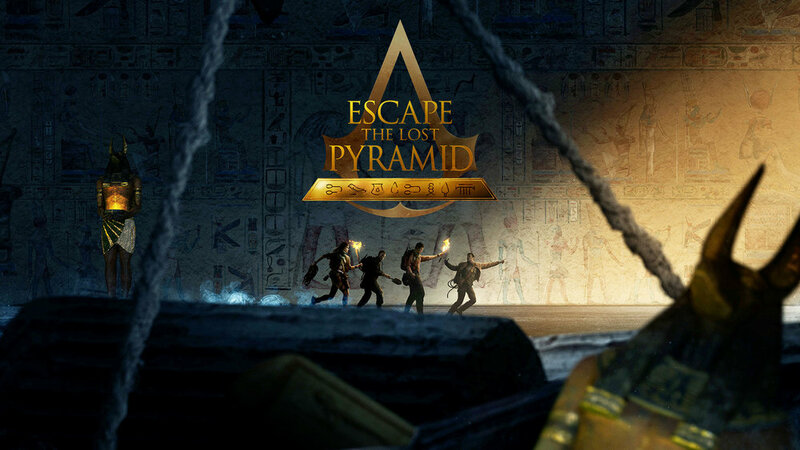 Ubisoft Escape Games presents Escape The Lost Pyramid, a multiplayer virtual reality escape room set in the world of Assassin's Creed Origins, for all publics, only available in selected venues like escape rooms or VR Arcades. Find where to play at www.ubisoftescapegames.com.